Get ready for strawberry season with this quick and easy ‘how to.’ Freezing fresh whole strawberries is super simple to do, and the flavor of just picked strawberries can’t be beat. When freezing fresh strawberries, follow these few simple ‘rules’ and you’ll be off to a good start. Carefully cut off the green leafy stem end using a sharp paring knife. This creates a flat surface, allowing the berries to sit upside down on the baking sheet. If any berries have a green, yellow or dark brown tip, you can cut that off or leave it on, this step is optional and totally up to you. Only rinse the strawberries right before you’re going to freeze them. Carefully wipe them off. Line strawberries, flat side down, on parchment lined baking sheet. Place baking sheet in the freezer. 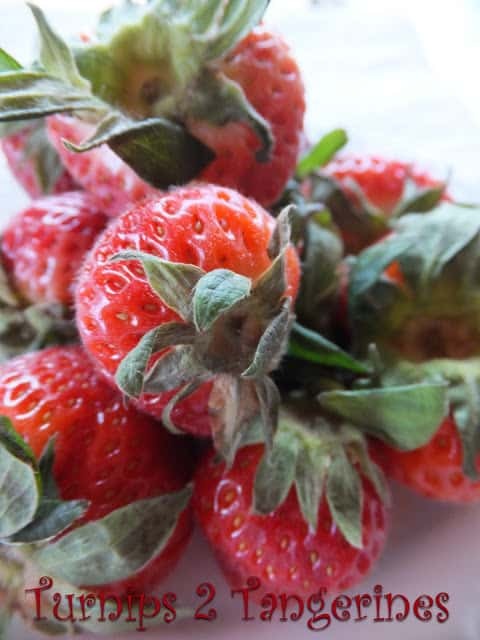 Freeze strawberries until frozen solid. 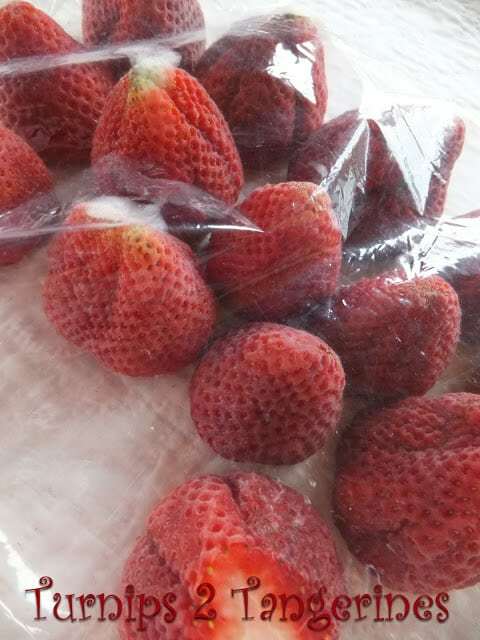 Divide strawberries between freezer baggies. Mark the date and amount on outside of baggie. Strawberry Season will be here again soon. Every year, towards the end of June, my daughter and I head out to a Pick Your Own strawberry farm and pick strawberries. Lots and lots of strawberries. Strawberries to make jam, strawberries to add to salads and strawberries to eat and freeze. 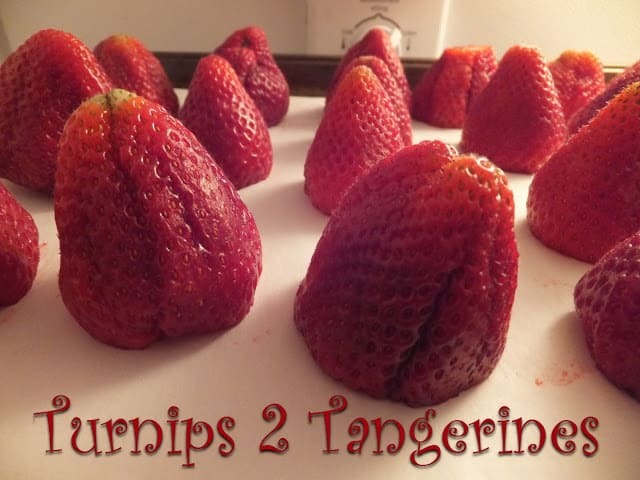 Try this quick and easy kitchen tip for freezing whole strawberries. You can also freeze blackberries, raspberries, and blueberries in this way. Strawberry Season will be here shortly. Do you have your recipes ready?? Try our favorite favorite strawberry recipes. Strawberry Crisp made with Homemade Strawberry Pie Filling, Strawberry Bread with Pink Glaze and Fresh Strawberry Scones. Strawberries, washed, hulled and patted dry. 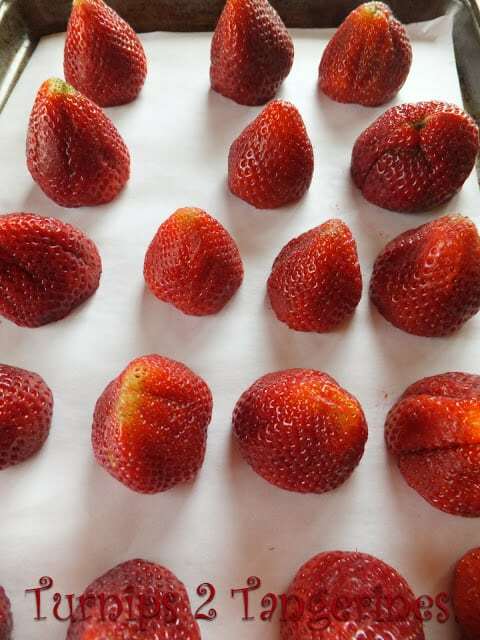 Place clean strawberries, flat side down, on a baking sheet lined with parchment paper. Place strawberries in the freezer. Freeze until firm. About 2 hours. When strawberries are frozen, remove from freezer. Place in a large ziplock freezer bags. This is exactly how I freeze bananas also, wothout skins and sliced into chucks. They make great frosty smoothies that way. It's so nice and convenient to have fresh fruit in your freezer to make smoothies with!! Thanks for linking this GREAT tip at the Pinterest Power Party! It'll be featured in tomorrow's party – so stop by and grab a "featured" button! Hope you'll link up with us again! Have a great week! Great post, Lynn! Thanks so much for joining us at last week's All my Bloggy Friends …. We look forward to seeing what you share this week! Thanks for the tips! 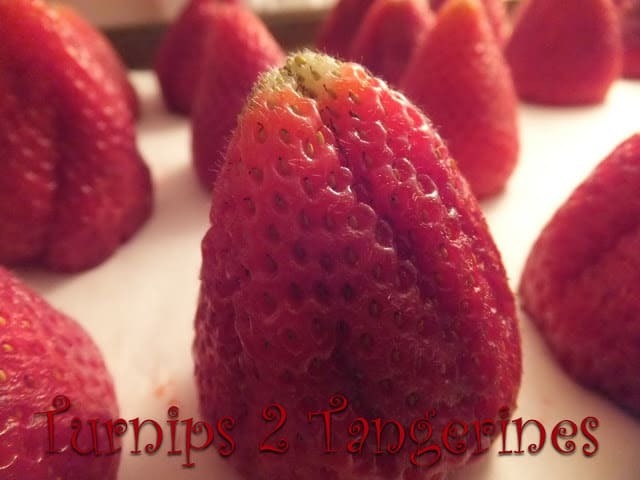 Strawberries are ALMOST in season here… hanks for visiting the Mom's Monday Mingle… I had a blast co-hosting cause I got to find great blogs like yours! Following you here and everywhere. This is also how I freeze apple slices. Ooh, I wish I saw this last week when our grocery store had strawberries on sale for less than a dollar! I am pinning this in hopes of another great sale. Stop by my blog hop this week? Wonderful Wednesday Blog Hop actually goes live Tuesday evenings at 7pm EDT. Hope to see you there! My daughter loves strawberries!! Hi! I’m your newest follower from Moms Monday Mingle. I'm following you via twitter @amomblogdesign. Please stop by and say hi when you have a chance. I'm also hosting a blog hop this Friday if you would like to join us 🙂 Hope you're having an awesome week. I'll have to remember to freeze them like that! I usually just throw them in a bag since I'm in a rush and they get stuck together. Lol.